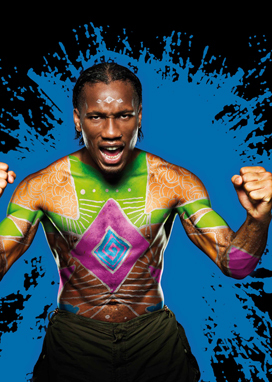 Current World Player of the Year Lionel Messi, Didier Drogba, Frank Lampard, Fernando Torres and Thierry Henry have teamed up with Pepsi MAX to show their true colours as part of the new body paint campaign. 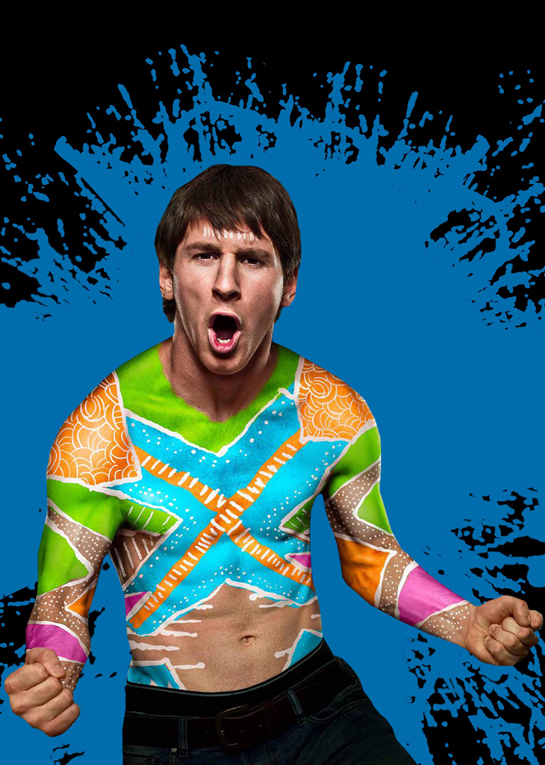 Barcelona’s Argentine superstar Lionel Messi The body paint campaign forms part of the overall 2010 Pepsi MAX activity, which includes the latest Pepsi MAX TV commercial set to launch this summer. 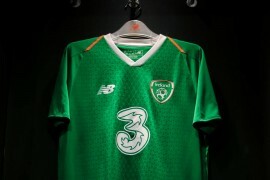 The new TV commercial was filmed in Africa and highlights the talents of the MAX football stars. 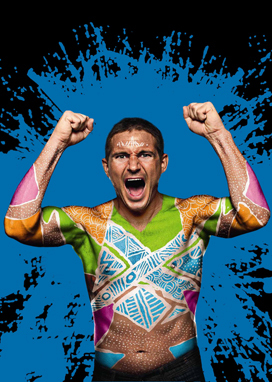 When Pepsi MAX first approached me with the idea of using body paint as a way to bring to life their campaign this year I thought it was brilliant idea. In every football stadium around the world you see colour in the stands, but more so in African Stadiums where fans often use body paint to show their support for their team. Putting paint on the players was a great way to show our love for the game and I think the results are amazing. This year, we want to bring fans a campaign that not only features the best players in the world, but also presents them in a unique way that is entertaining and fun. 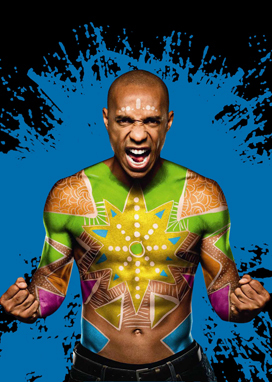 The body paint images bring a modern look to a very traditional means of expression and showcase each of our players’ universal passion for the game. Thierry Henry looking menacing whilst Frank Lampard seems rather excited. Earlier this year, Pepsi MAX launched the track, ‘Oh Africa’, which was recorded by Akon, Keri Hilson, the Soweto Gospel Choir and 16 aspiring musicians from around the world. Imagine that being an actual top!! WickeD!! !